The female fights continue to pile up for the third season of Dana White’s Tuesday Night Contender Series. 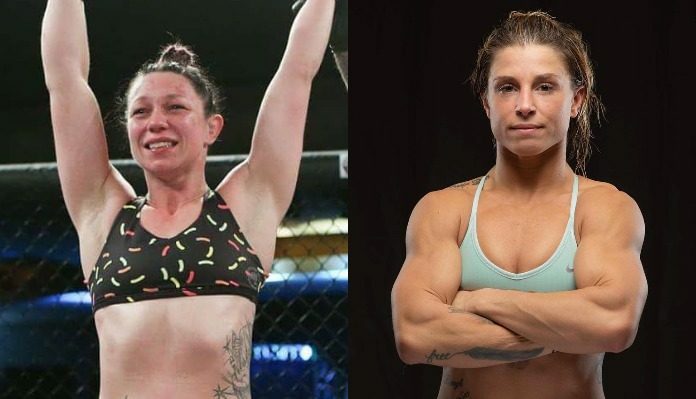 A strawweight matchup between Invicta FC veteran Kali Robbins (6-2) and Island Fights veteran Hannah Goldy (4-0). Having competed for Invicta FC, RFA, and KOTC, Robbins has fought a handful of MMA notables including UFC veterans Hannah Cifers and Pearl Gonzalez. In her last outing, Kali Robbins defeated Celine Haga at JacksonWink Fight Night 4. Her opponent, the Vermont-born Goldy is unbeaten through four professional fights. Goldy is nicknamed “The Queen of Sparta,” as she is the wife of former UFC fighter Alex “The Spartan” Nicholson. The 26-year-old Florida-based fighter last competed at Island Fights 50, defeating Shannon Goughary by unanimous decision. Stay tuned to BJPenn.com for all of the latest news regarding the Contender Series and check out our guide to season 3 right here!